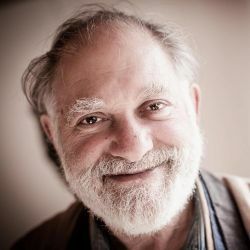 Bernie Glassman is well-known throughout the world as a pioneer in socially-engaged Buddhism and founder of the Zen Peacemakers. He also co-wrote a book called The Dude and the Zen Master with academy-award winning actor Jeff Bridges. In this episode of A Congruent Life, Bernie discusses the role of social engagement in Zen, holding opinions rather than truths, the impact of street retreats in New York City, healing work at Auschwitz, Rwanda, and Israel, and his relationship with Jeff Bridges. This entry was posted in Podcast on May 22, 2013 by Andy Gray. Great interview – thanks for sharing.